Yeah, we bought the DVD. A fun movie, not matter what your age. Ha! I really enjoyed this film. Underdog, voiced by Jason Lee, has just the right amount of snark. 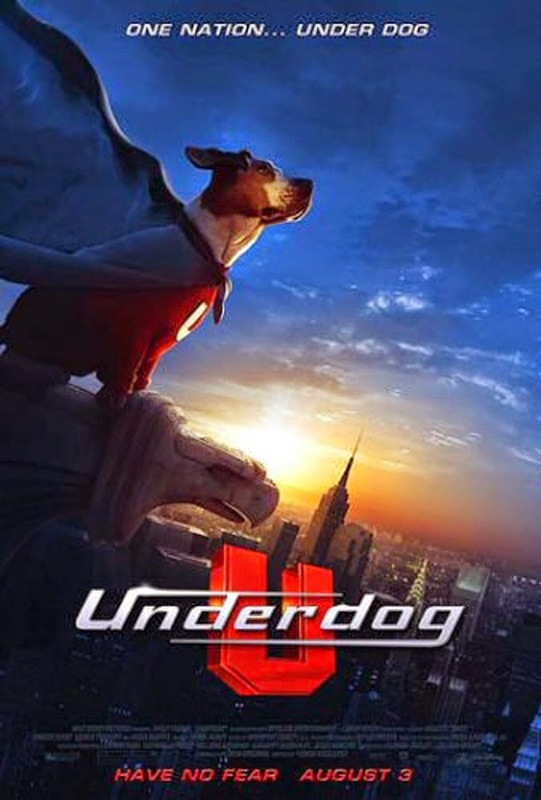 The scene where the boy learns that Underdog can speak is a favorite. (Side note: among my fav scenes in talking animal movies is when the human learns the animals can speak. Ditto for Alvin and the Chipmunks.) Peter Dinklage and Patrick Warburton do steal the show, especially Warburton as Cad. And, in case you missed it, the female lead = Cindy Lou Who from the live action Grinch movie. Yes, fun film and one I've seen many times with the family.